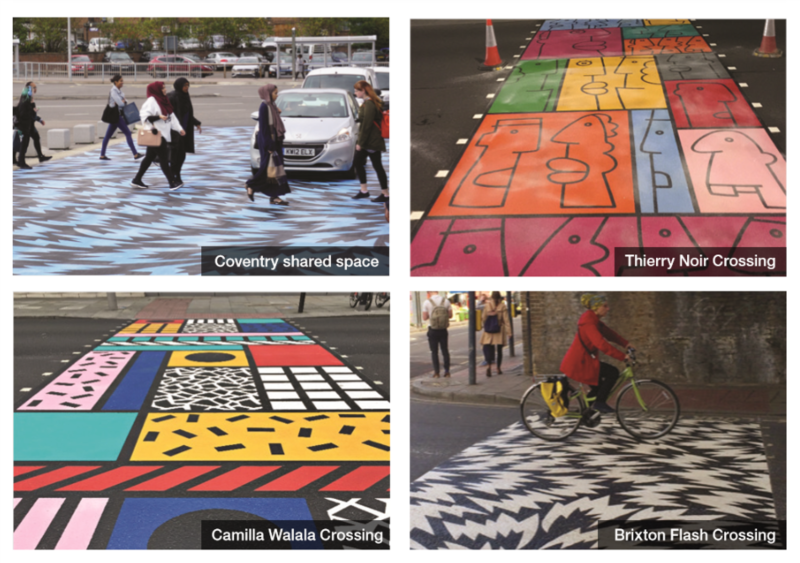 Safer Crossings – Proud and Colourful! 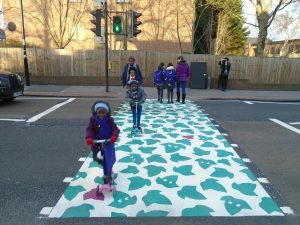 These painted crossings are not restricted for school sites, and can be used at formal or informal crossing locations and shared spaces. 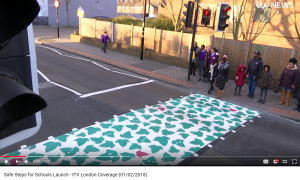 Click for Croydon Shared Spaces & Crossings video for more information, and in the Safe Steps for Schools initiative. There is a lot of flexibility on designs, but care is needed to be safe and appropriate. Ask your local school and Cllrs to see if of interest (find Your Elected Representative here). CPneighbours is interested in designs for Crystal Palace Triangle. Do get in touch info@cpneighbours.org with your ideas for where and what design! 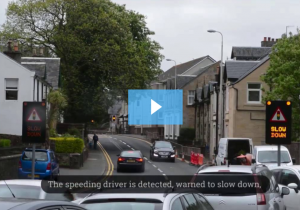 Re-imagine how to slow speeding traffic – with speed activated signals! Imagine if traffic signals went red if vehicles approached dangerously too fast! Now, imagine this solution on a street near you, at a known dangerous road safety hot spot, as this technology is already in use! It’s an innovative scheme. Its design combines Vehicle Activated Speed Warning Signs and Traffic Signals to safely stop drivers at the upcoming traffic lights if they exceed the speed limit. It can work on 20mph roads. It works. And, it can integrate with existing pedestrian crossings too. The concept has been considered already at a trial site in London. It needs to have sufficient distance between the crossing, radar, and warning signs to be effective, so it will not suite all locations. Please contact info@cpneighbours.org to find out more information and potential / priority locations, and contact details. Watch this space for a meeting on these and other local highways improvements!